They appeared the oddest of couples walking through the giant suburban outlet mall last week – the beefy Dallas Cowboys offensive lineman and the frail farmer using a cane and struggling mightily to keep up with his friend. They noticed the finger-pointing and the stares and the stage whispers. But they minded not a single one. They simply continued doing what folks who enjoy one another's company do – talk, laugh and have a good time. Cory Procter, the mountain of a man, and Ryan Odens, whom the gawkers may view as a remnant of one, have established a solid friendship since their chance 2005 meeting at Texas Stadium. The Cowboy gains strength from the farmer. "He inspires me more than anything. ... How doesn't he inspire everyone?" said the 6-foot-4, 310-pound Procter, who earns his Cowboys keep in the trenches as a reserve center and guard. "Here is a guy who was paralyzed ... who they told would never walk, and he's getting around just fine." Odens, an Iowa farmer, calls his friend "a big-hearted, down-to-earth kind of guy who happens to play football and doesn't perceive himself to be better than anyone." They shared their story last week, seated in the living room of Procter's Irving home just down the street from the Cowboys' Valley Ranch training facility. Odens had arrived the previous day from his northwest Iowa farm to watch Procter's heavy-metal band debut at Dallas' Granada Theater. As for the 22 hours on the road to be there for half a dozen songs, the 5-foot-10, 150-pound Odens shrugged. "That's what friends do," he said. On this day, Procter, 26, spoke slowly and deliberately, allowing the more effusive Odens, 32, to fill in details, finish sentences and supply the punctuation. "We're just a couple of good dudes doing what we do most," Procter said, "sit around and talk." They agree they owe their friendship to the most unlikely of matchmakers – former Cowboys coach Bill Parcells. Procter, just acquired from the Detroit Lions in December 2005, had been designated inactive for a game against the Kansas City Chiefs. Parcells preferred that those not in uniform not clutter up his sideline. Banished to the stands, Procter eventually settled in a seat next to Odens, who had been invited to Dallas for his first Cowboys game by Easter Seals. By the end of the game, Procter and Odens were exchanging phone numbers and promising to keep in touch. It proved more than a polite, perfunctory farewell. When the season ended, Procter returned to Detroit to collect his things and move them back to his family home near Seattle. Turned out, the Odens' farm outside of Little Rock, Iowa, was on the way. Procter, the son of a veterinarian, planned to stay for one night. Instead, he helped with the chores on the 1,100-acre farm, where Odens and his brother grow corn and soybeans, for almost a week. "That's what friends do," Procter said. Ryan Odens was driving his pickup on an Iowa country road, headed to a dirt track race just across the Minnesota border in the summer of 2000 when ... he really doesn't know what happened next. Rescue workers said he probably rolled the pickup heading around a curve. It was a miracle that another driver came along and found Odens still breathing. Doctors later told Odens that the ambulance got him to the hospital just in time. The doctors in rural Minnesota couldn't begin to put Odens back together. Instead, they put him and his five fractured neck vertebrae and his broken spine on a helicopter and shipped him off to Sioux Falls, S.D. That's where the doctors told him he would spend the rest of his life paralyzed from the chest down without a prayer of walking again. Four and a half months later, when Odens was released from a rehab hospital in Denver, doctors looked down at him in his wheelchair and asked what he was going to do when he got home to Iowa. "I'll farm," he said then. "They laughed," he recalled now. Odens took his first step in a physical therapy session back in Sioux Falls. "I was back in the field by April of 2001," he said. Back but with lots of help. 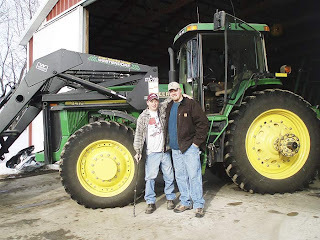 Easter Seals, the nonprofit agency that helps folks with "disabilities attain greater independence," supplied mechanical lifts that allowed Odens to mount his tractor and another for his combine. They gave him a John Deere utility vehicle to get around. Overnight, electronic gates were installed so Odens didn't have to get on and off his farm vehicles. Odens returned Easter Seals' generosity by becoming active in the organization. By 2005, he was the group's national ambassador, ever ready to speak to sponsors and potential donors. It was that year at a meeting in Chicago that Odens met Ed Wenzel, now the vice chairman of the board for North Texas Easter Seals, and mentioned his affection for the Cowboys. Wenzel eventually arranged for a trip to Dallas, a tour of Valley Ranch and a ticket to a Cowboys-Chiefs game at Texas Stadium. Procter has grown from an undrafted free agent from the University of Montana to a reliable lineman in four NFL seasons. This month, he signed on for another year with the Cowboys. "When you play football, a lot of people want to tear you down," Procter said. "I have had a lot of people along the way tell me I can't play, but my work ethic is what got me here and will keep me here." But just as certain as Procter is about the sweat that established him as an NFL player, he believes he has not worked nearly as hard as Odens, who spent hundreds of painstaking hours learning to simply walk again. 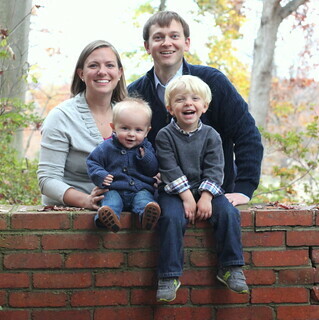 "Ryan has a great attitude about life," Procter said. "He's just the kind of guy you want to be around." In the course of an hour this day, the friends debated the merits of Ford vs. Chevy trucks, sang Alabama songs along with videos on Country Music Television and shouted barbs at Procter's girlfriend cooking in the nearby kitchen. When Odens isn't around, Procter volunteers for Easter Seals. "Cory is a big guy with a big heart," said Wenzel, the regional Easter Seals vice chairman. "I know he came to us because of Ryan and his disability, but Cory understands that there are thousands of Ryans who need help." Back in the Procter living room, Odens struggled as he raised himself off the couch to make a final point. "I know I walk different and I look differently now than most, but some people see way beyond that. Take that man sitting over there," Odens said pointing at his friend, "he sees way beyond what's in front of him. That's a gift, his and mine." and how to contribute, please click here.